The Aspin Winter Classic Buckle Series will be held on Sunday, March 10th, 2019 in Ramona, California. This Ramona rodeo is held at Aspin Arena. The WCBRA sanctioned races are only January 13th and March 10th. There will be prizes, giveaways and buckles. 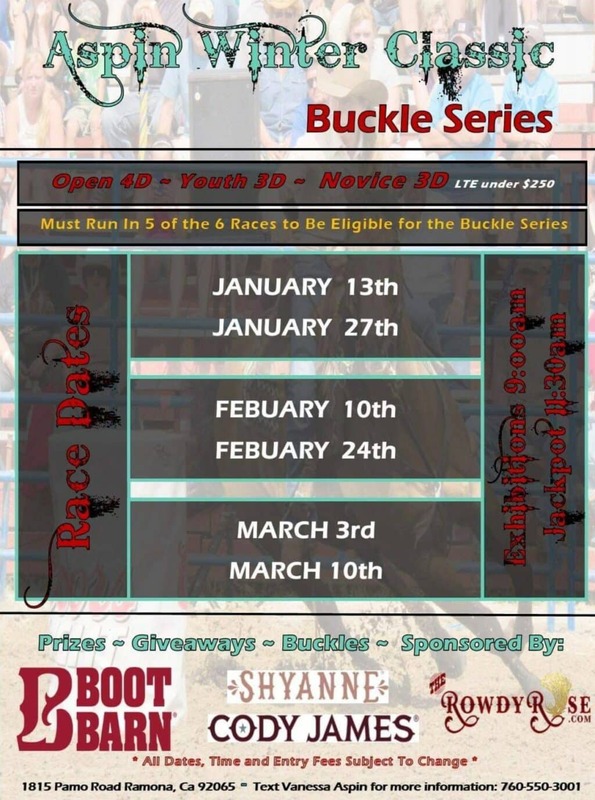 Must run in 5 of the 6 races to be eligible for the Buckle Series.